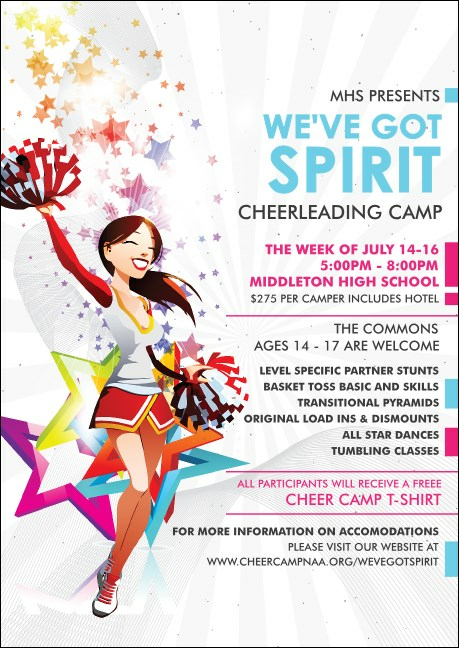 Mount the advertising pyramid with a smile when you send out personalized Cheerleading Spirit Postcards for your event. Each Postcard features a unique white background design and the image of a spirit-filled cheerleader with a cloud of colorful stars around her. Customize up to twenty-one lines of text for all your event details. TicketPrinting.com helps you elevate your ticket sales.